Kandi Burruss Says "RHOA" This Season Is Even More "Real"
Things are a little different in ATL this year. Not only are there new cast members on The Real Housewives of Atlanta, but the drama—and sources for it—have changed as well. 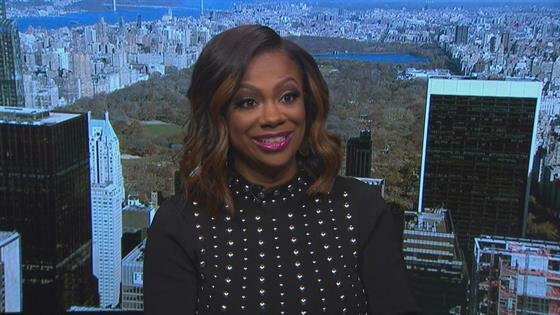 "New personalities bring new challenges and positives," Kandi Burruss told E! News with a laugh. "It's a lot of personal story going on." But just because there's some very personal happenings, like Porsha Williams' pregnancy, Eva Marcille's wedding, and the battle with cancer NeNe Leakes' husband Gregg Leakes is going through, doesn't mean there isn't typical RHOA drama afoot. After all, in the previews, Kandi does make it known that she's heard all about Porsha's new man. But this year is less mean. "I feel like in the past seasons we had a lot of mean girl drama, meaning it was a lot of catty, just arguments, a lot of negativity for no reason, going below the belt," she said. "This year I don't feel like people are going below the belt as much, I mean, yes, there's some drama because there's real story there, real situations…"
Sure, she spills the tea on Porsha's man, but she said she didn't do it to hurt Porsha, nor does she feel like the other Housewives stars are doing things just to hurt one another, as was the case in past seasons. Click play on the video above to hear what challenges Kandi will face this year and whether or not she ever expected to be on the show this long. The Real Housewives of Atlanta airs Sundays, 8 p.m. on Bravo.